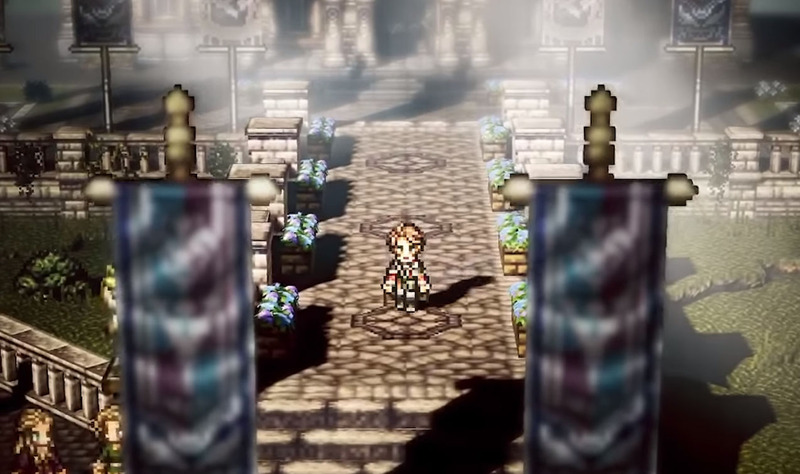 Square Enix recently released a trailer for a forthcoming prequel to Octopath Traveler, entitled Octopath Traveler: Champions of the Continent. While this prequel will grace only mobile devices – and will likely come with the associated baggage of mobile RPGs – Square Enix also slipped news of a full-on sequel also in development, this time for home consoles (and presumably for the Nintendo Switch). With this new game still likely a year or two away, we wanted to take a moment to discuss what changes we may bring to the franchise to elevate its already impressive level of quality. One of the biggest criticisms levied against the original Octopath Traveler was the lack of meaningful interaction between the game’s eight main characters. While the various party chats during the main chapters and post-game were a welcome feature, many players were disappointed that the interactions stopped there. Why couldn’t members of your party speak up during actual scenes in the individual stories? Many games have offered small bits of dialogue for major events which vary by party composition. Why couldn’t Octopath have done the same? We hope that whenever Octopath 2 comes along, it significantly beefs up this aspect of the storytelling. Being able to see how each party member reacts to a development in the lives of their comrades, in real time, would go a long way to making these people feel like friends, rather than passers-by. Extra scenes that flesh out the relationship between these characters – like the special scenes between Edgar and Sabin in Final Fantasy VI, for example – would wonderfully enhance the story and create a better sense of realism. There’s no reason for party members to disappear during key events. Let them stand beside their friends, offering words of encouragement or giving their opinion on what the best course of action may be. If Square Enix wanted to take it even further, they could even customize dialogue choices based on who you have in the party at the time, really showing how the travelers affect one another in meaningful ways. It is my sincerest hope that the team is able to buck this trend in Octopath 2. Exploring a dungeon should involve more than branching hallways. We want dungeons that challenge our investigative skills, reward creative thinking, and offer obstacles that differ from basic combat or simply finding a hidden switch or doorway. To solve this problem, the team needs only look at its own roots, as it has for so many other elements of their titles. 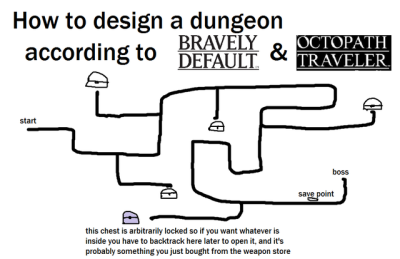 Classic JRPGs are full of examples of interesting dungeon design, with clever puzzles that encourage players to stretch their problem solving muscles time and time again. It wouldn’t take anything too revolutionary to improve on this front, but even a few incremental steps forward would go a long way to making Octopath 2 stand out from its predecessor. This next suggestion is simultaneously the most obvious, but potentially the most difficult to execute. Octopath Traveler covered a lot of ground with its existing class system, giving players a wide variety of unique skills, weapons, passives, and customization options to work with. Creating new classes – rather than just revamping the old – would mean discovering new ways to twist the already exhaustive combat system. Square Enix will also need to balance the need for something new and exciting alongside the need to give players a taste of the familiar. Who wouldn’t want a revamped and improved thief or warrior to play with, after being so fond of those classes the first time around? At the same time, creating new and interesting path actions may be a daunting task. In the first game, we already saw how there were really only four sets of path actions, each twinned between the noble and rogue varieties. And these path actions are well loved. Challenging every villager to battle, letting them join your party, learning about their history, or acquiring their items are all wonderfully immersive ways of interacting with the game world. Each town in Octopath Traveler felt vibrant and alive. Removing any of these options would feel like having a layer of complexity stripped away from the Octopath universe. Probably the best way for Square to have their cake and eat it too would be to remove the twinning, but keep the core actions, leaving room for four new path actions to be created. The developers of Octopath Traveler and Bravely Default have already shown a willingness to reuse assets across multiple games. Both Bravely Default and Bravely Second use the same world map and towns, and the newly announced Octopath mobile game seems to be using the same technique. While this approach allows the developers to save time and money working on the sequel, it also removes that essential feeling of exploration that is so vital to the role-playing genre. When Octopath 2 comes along, we’d love to see the adventure taking place on a new continent, with all new towns, regions, dungeons, and lore to explore. Whatever the plan for Octopath 2 may be, we hope that this new game will continue to push the boundaries of what makes classic JRPGs great. A further refinement of the core game elements, with new features sprinkled in, would easily satisfy the majority of fans from the first game. However, if the developers manage to make the changes above, there’s no doubt that an Octopath sequel would have the power to not only match the first game in quality and scope, but to surpass it completely.